Daniel Andre Sturridge (; born 1 September 1989) is an English professional footballer who plays for Premier League club Liverpool and the England national team. He plays as a striker, but he has also been used as a winger on occasion. Born in Birmingham, Sturridge spent four years in the Aston Villa academy before moving to Coventry City. He then signed for Manchester City in 2003. He continued his development at City and played in two FA Youth Cup finals. He made his first-team debut in the 2007–08 season, becoming the only player ever to score in the FA Youth Cup, FA Cup and Premier League in the same season. He left City in 2009 and signed for Chelsea, where he was loaned out to Bolton Wanderers for the second half of the 2010–11 season. After a successful spell at Bolton, scoring eight goals in 12 appearances, he returned to Chelsea for the 2011–12 season. He left Chelsea to join Liverpool in January 2013, where he formed the so-called SAS attacking partnership with Luis Suárez, with Liverpool scoring more than 100 league goals in the 2013–14 season with Sturridge scoring 21 – the pair of them having a 1–2 in the goal scoring stats of the league. The following two seasons were curtailed by a myriad of injuries, limiting Sturridge to very few appearances. 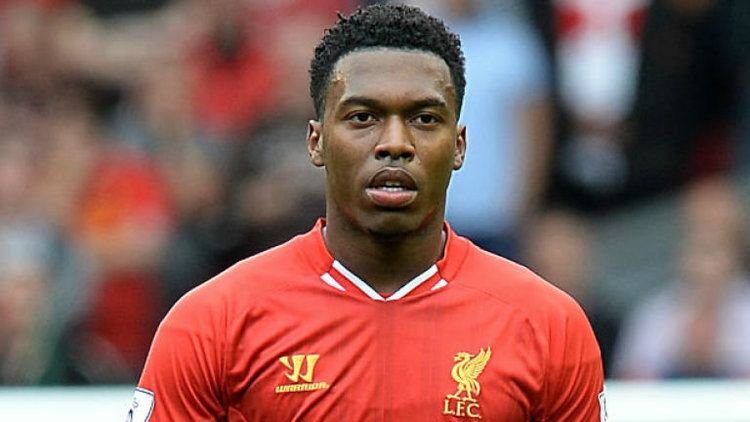 Born in Birmingham, West Midlands, Sturridge began his playing career at the age of six at local club Cadbury Athletic, before being spotted at the age of seven by the youth academy of Aston Villa. He left Villa four years later to move to Coventry City, from where he joined Manchester City's Academy in 2003, aged 13. A Football League committee later ordered Manchester City to pay Coventry £30,000 compensation, with further payments up to a maximum of £200,000 based upon appearances and international honours. The following year, he was the leading scorer and voted player of the season (the only other person to achieve this was Argentine footballer Carlos Tevez) as City won the Nike Cup, the world's largest under-15 tournament. At 16, he played for Manchester City Youth during their 2006 FA Youth Cup run. The youngest player in the team, he scored four goals en route to the final, and another two in the final, though they were insufficient to prevent a 3–2 aggregate defeat to Liverpool. That summer, he signed his first professional contract, which came into effect when he turned 17. From the start of the 2006–07 season, Sturridge began to train with the City first team. A hat-trick in a reserve match was rewarded by a place on the substitutes' bench for the senior team's match with Reading in February 2007. He duly made his debut from the bench, replacing Georgios Samaras for the final quarter-hour. He made a second substitute appearance a month later, but then suffered a hip injury which sidelined him for the remainder of 2007. Sturridge scored his first goal for City on 27 January 2008 in an FA Cup match against Sheffield United, followed three days later by his first league goal on his full debut, against Derby County. However, first-team opportunities were sporadic, so Sturridge continued to play for the youth team in the FA Youth Cup. City again reached the final, with Sturridge the leading scorer in the competition. This time City won the final, with Sturridge scoring in the first leg. In the 2007–08 season, Sturridge became the only player ever to score in the Youth FA Cup, the FA Cup and the Premier League in the same season. With Sturridge's contract at Manchester City expired, he signed for Chelsea on a four-year contract on 3 July 2009. As Sturridge was under the age of 24, and the two clubs were unable to agree a deal, the fee for Sturridge was decided by a tribunal. The Professional Football Compensation Committee decided on 14 January 2010 that Chelsea would pay an initial fee of £3.5 million, with additional payments of £500,000 after each of 10, 20, 30 and 40 appearances. There would also be a further payment of £1 million if Sturridge made a full international appearance, and Manchester City in addition would receive 15 percent of any sell-on fee if Sturridge was transferred, after these add ons the fee for the player reached an eventual fee of £8.3m. Sturridge made his Premier League debut for Chelsea on 18 August 2009 against Sunderland, coming on for Didier Drogba. 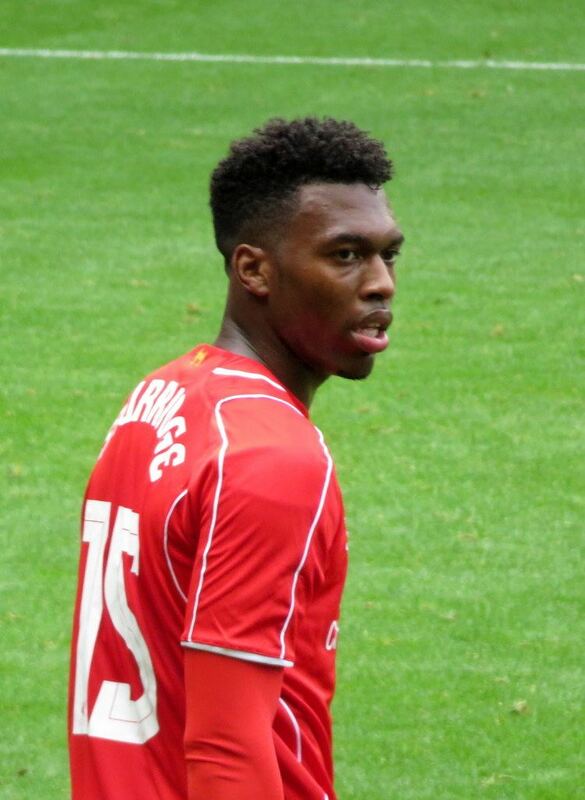 On 16 September, Sturridge scored a hat-trick in a reserve match against Ipswich Town. On 28 October, he made his first start for the club in a League Cup win against Bolton Wanderers at Stamford Bridge. On 15 September 2010, Sturridge made his full UEFA Champions League debut against Slovakian team MŠK Žilina. He scored on his debut, his first Champions League tally, in a 4–1 away victory. In the Premier League, in a 1–0 loss to his former club Manchester City, Sturridge came on as a substitute for striker Didier Drogba. He scored his second goal in the Champions League against Žilina, which Chelsea went on to win 2–1 at home. Later that season, he scored two right-footed goals against Ipswich Town. On 31 January 2011, Sturridge agreed to join Bolton Wanderers on a loan deal until the end of the season. He made his debut two days later, coming on as a substitute at home to Wolverhampton Wanderers, scoring his first goal in the process, an injury time winner. He followed this with another goal in the defeat to Tottenham Hotspur the following weekend, in which he made his first start, before scoring his third goal in three matches in the 2–0 victory over Everton. 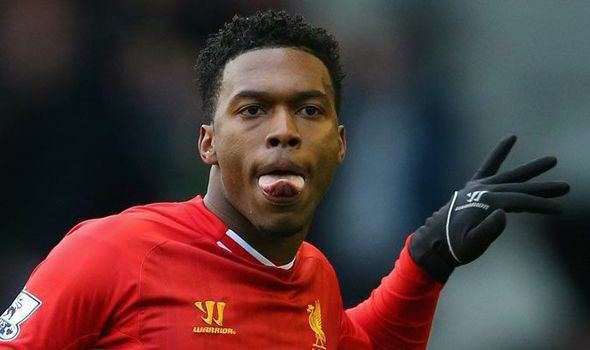 After Sturridge scored the equaliser against Newcastle United in his fourth match, he became only the sixth player to score in his first four matches for a club in the Premier League. Sturridge continued to make an impact at Bolton and finished his loan spell with eight goals in 12 appearances at the club. Having never been booked in his career, Sturridge received his first ever red card in the final match of the season against former club Manchester City. Having received a red card in his final match for Bolton, Sturridge was suspended for the first three competitive matches in the 2011–12 season for Chelsea. Despite rumors linking him with a move away on deadline day, Sturridge remained in West London amidst strong support from his manager André Villas-Boas, who said, "He would have been playing if he was not suspended from last season." In his first match back from suspension, at Sunderland, Sturridge started and scored with a back-heel in the 50th minute to put Chelsea up 2–0 in an eventual 2–1 victory. Sturridge returned to the Reebok Stadium on 2 October 2011, scoring twice within the first 30 minutes, the first a header after 90 seconds from a corner and the second a long-shot from outside the box that goalkeeper Ádám Bogdán erred in saving. Sturridge also provided an assist to Frank Lampard's goal in the 15th minute of the match, which eventually ended 5–1. On 15 October 2011, Sturrdge scored against Everton in a 3–1 win, giving him four league goals in four matches. He then came on as a substitute in the League Cup match against Everton on the 90-minute, in which he scored a 116th-minute winner, which saw Chelsea win 2–1 in extra time to put them in the last eight. Sturridge scored his seventh goal in the Premier League season in a 3–0 victory for Chelsea against Newcastle. On 13 December, during the fixture against Sturridge former club Manchester City at Stamford Bridge, Sturridge provided an assist for a Raul Meireles goal in the 34th minute. The match ended a 2–1 victory, when Frank Lampard scored a late penalty after Joleon Lescott handled Sturridge's shot in the penalty area. Sturridge scored in the away 1–1 draw against Wigan Athletic; he controlled Ashley Cole's diagonal long ball with his left foot, then scored with his right from a tight angle to give Chelsea the lead in the 59th minute. On 22 December, during Chelsea's away clash with Tottenham, he scored his ninth goal in the 2011–12 domestic season, the equaliser in a 1–1 draw away at White Hart Lane. Sturridge scored his team's first goal in a 4–2 win against Aston Villa. He scored the opener in fantastic style after 45 seconds with his 11th Premier League goal of the season against local rivals Queens Park Rangers on 29 April, which Chelsea ran out 6–1 winners to keep Champions League qualification alive. He was an unused substitute as Chelsea won the 2012 UEFA Champions League Final. Sturridge missed all of Chelsea's pre-season matches to begin the 2012–13 campaign, as he was on duty with Great Britain in the 2012 Summer Olympics. He did, however, play against Manchester City in the 2012 FA Community Shield, assisting Ryan Bertrand's goal, by shooting and Costel Pantilimon spilling it. Sturridge missed the first 2012–13 UEFA Champions League group stage matches against Juventus and Nordsjælland and the first League Cup match against Wolverhampton. He also missed the Premier League match against Stoke City with a hamstring injury. He scored the last Premier League goal for the club in the 4–2 win against Tottenham at White Hart Lane after coming on as a late substitute and scoring from Juan Mata's cross in stoppage time to seal victory. His last goal for Chelsea was against Manchester United in the League Cup, scoring in extra time in the 5–4 win. After Blues manager Roberto Di Matteo was sacked as manager and replaced by Rafael Benítez, Sturridge was never to play for the club again due to injury. On 2 January 2013, Sturridge completed a move from Chelsea to Liverpool, signing a long-term contract for an undisclosed fee thought to be in the region of £12 million. He made his debut on 6 January against Mansfield Town in the FA Cup third round, scoring his first Liverpool goal after just seven minutes in a match which Liverpool won 2–1. He scored on his league debut after coming on as a half-time substitute the following weekend, scoring in a 2–1 defeat against rivals and league leaders Manchester United at Old Trafford on 13 January. Sturridge scored his third goal for Liverpool in his first league start and home debut for the club, a 5–0 win against Norwich City at Anfield on 19 January. With the goal, he had scored three goals in his first three appearances for the club, becoming the first Liverpool player since Ray Kennedy in 1974 to accomplish the feat, despite not yet playing a full 90 minutes for the club. On 3 February, Sturridge scored a goal from 25 yards-out against former club Manchester City in a 2–2 draw at the City of Manchester Stadium. Sturridge continued this run of form on 17 February, with an assist for teammate José Enrique, as well as scoring a penalty against Swansea City in a 5–0 win, having missed the prior two matches due to a combination of ineligibility and injury. He also scored against former club Chelsea in a 2–2 draw at Anfield, the match of teammate Luis Suárez's biting incident with Blues defender Branislav Ivanović, which led to a ten-match ban for Suárez. Sturridge scored two goals and notched an assist in a 6–0 win over Newcastle United on 27 April at St James' Park. On 12 May, he scored his first career hat-trick, in a 3–1 win against Fulham at Craven Cottage. Sturridge began the 2013–14 season by scoring the first goal of the season – which also turned out to be the only goal in Liverpool's 1–0 win over Stoke City – with a shot from outside the box. He then followed this up with a goal against Aston Villa in another 1–0 win and a brace against Notts County in the League Cup, taking his season's tally to four goals in three matches. He continued his fine form by scoring the only goal in a 1–0 win against fierce rivals and defending champions Manchester United on his 24th birthday at Anfield, and giving a man of the match performance in a 3–1 win away at Sunderland by scoring and providing two assists for Luis Suárez. These performances earned Sturridge the season's first Premier League Player of the Month award for the month of August. On 23 November, he came off the bench to score a last-minute equaliser against Everton in a thrilling Merseyside derby that finished 3–3. Sturridge's impressive goal-scoring form continued into the new year, with Sturridge becoming the first Liverpool player in the Premier League era to score in seven consecutive league matches when he found the net at Craven Cottage against Fulham. He went on to become only the second player in Premier League history to score eight matches in a row after a brace against Swansea City in a 4–3 home win. He was then named Player of the Month for the second time in the season for February, scoring five goals and earned two assists during the month. On 18 April, Sturridge was named as one of the six players on the shortlist for the PFA Players' Player of the Year award and was also nominated for the PFA Young Player of the Year award. On 27 April, he was named alongside teammates Steven Gerrard and Luis Suárez in the PFA Team of the Year. Sturridge's haul of 21 league goals made him the runner-up in the season's Premier League Golden Boot, behind strike partner Suárez. 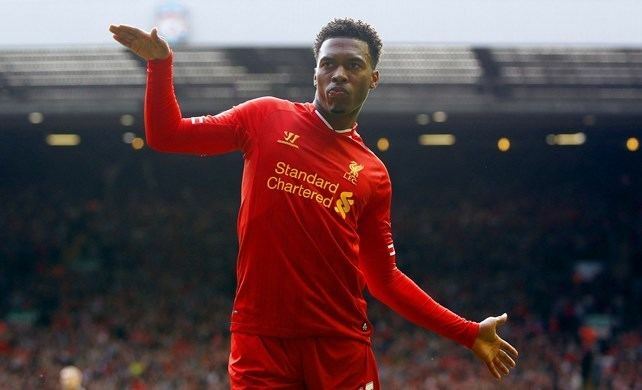 Sturridge started the 2014–15 season scoring a late winner in Liverpool's opening match, a 2–1 win over Southampton. While on international duty, Sturridge incurred a thigh injury and forced out of action for up to three weeks. On 11 September, manager Brendan Rodgers publicly criticized England's handling of Sturridge, stating his injury "could have been preventable." Despite rumours, England manager Roy Hodgson rejected talk of a rift between him and Rodgers over Sturridge's injury. After missing close to five months, Sturridge made his return to the team on 31 January in a 2–0 win over West Ham as a 68th-minute substitute for Lazar Marković, scoring in the 87th minute after a through ball from Philippe Coutinho. 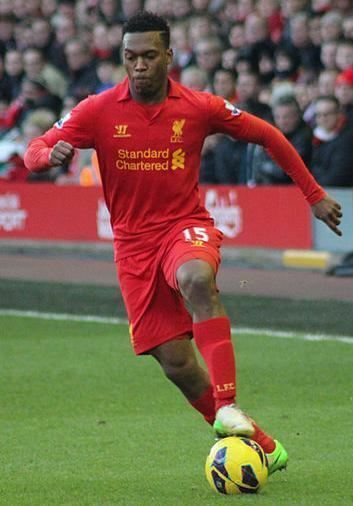 On 4 March, Sturridge scored the second goal in a 2–0 win over Burnley. After missing the first five matches of Liverpool's Premier League campaign due to injury, Sturridge made his first appearance of the season against Norwich City on 20 September 2015. He scored his first two goals of the season in a 3–2 victory against Aston Villa on 26 September. 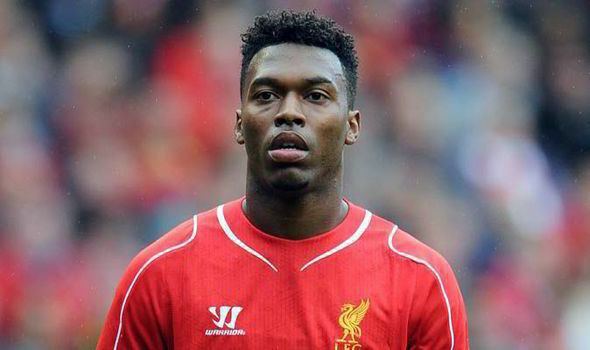 On 15 October, Sturridge suffered a knee injury in training that would rule him out another four weeks. On 2 December, he scored a brace in an 6–1 away win over Southampton in the quarter-final of the League Cup. Four days later he suffered another hamstring injury in a 2–0 defeat to Newcastle United, that ruled him out for two months. He returned to the team on 14 February 2016, scoring in a 6–0 win over Aston Villa at Villa Park. 14 days later, he started in the 2016 League Cup Final loss to Manchester City, playing the full 120 minutes as Liverpool were defeated in a penalty shoot-out. Sturridge began the season as an understudy to Roberto Firmino and generally came off the bench during the second half in league matches. On 23 August, Sturridge started the match against Burton Albion in the EFL Cup and scored a brace in the 5–0 win for Liverpool. Sturridge started in the fourth round of the EFL Cup against Tottenham on 25 October and scored a brace in a 2–1 win for Liverpool at Anfield. He scored his first league goal of the season on 27 December, scoring within one minute of coming on as a second-half substitute against Stoke. Sturridge has represented England at U16, U17, U18, U19, U20 and U21 levels. He scored twice against the Netherlands for the under-18 team in 2007, netting again in the Under-19 European Championships against the Netherlands. He scored the only goal for England U21 in a 1–1 draw against Greece U-21 in Greece and scored his second U-21 goal in the 1–0 win over Portugal. He was named in the England under-21 squad for the 2011 UEFA European Under-21 Championship. England was eliminated in the group stages. Sturridge was selected to the team of the tournament. On 6 November 2011, Sturridge was handed his maiden England call-up by being named in the England squad for the friendlies against Spain and Sweden, after excelling for Chelsea. He was an unused substitute in a 1–0 victory against Spain, but Fabio Capello insisted that Sturridge would play against Sweden the following Tuesday and did, as he made his debut coming on as a second-half substitute for Theo Walcott. He made his second appearance against the Netherlands coming on in the first half for the injured Steven Gerrard and caused the Dutch defence problems throughout the match and earned the man of the match award for his efforts during the match. He scored his first senior goal for England in his fifth match on 22 March 2013, after coming on for Wayne Rooney in an 8–0 away win against San Marino in World Cup qualification. The goal meant he had made an appearance and scored for all levels of international football for England, from U16 to the seniors, as well as scoring for the Great Britain Olympic football team. On 11 October, he scored another goal in England's qualification campaign, an injury-time penalty in a 4–1 win over Montenegro after he had been fouled by Ivan Kecojević. He scored again in the opening match of 2014, England's March friendly with Denmark. The score was 0–0 until the eighty-second minute, when Sturridge rose to head an Adam Lallana cross into the net for a late winner. On 2 July 2012, Sturridge was named in Stuart Pearce's 18-man squad for the Great Britain Olympic football team to compete at the 2012 Summer Olympics. It was however, announced on 3 July 2012 that Sturridge was undergoing tests for suspected meningitis, and was possibly going to be unable to compete in the GB 2012 team. However, he made a full recovery meaning he could take part and he scored his first goal for Great Britain in the second group match, a 3–1 victory over the United Arab Emirates. In the final group match, Sturridge scored the only goal as Great Britain defeated Uruguay to finish top of their group and progress to the quarter-final. In the quarter-final match against South Korea, Sturridge missed the fifth penalty for Great Britain. South Korea then scored theirs, knocking out Team GB. Despite injury keeping him out of most of the UEFA Euro 2016 qualification phase, Sturridge was named in England's squad for the UEFA Euro 2016 finals. In the team's second group match, after appearing as a half time substitute against Wales, Sturridge assisted Jamie Vardy's equaliser and scored the winning goal as the team recovered from a 1–0 deficit. Former Chelsea manager André Villas-Boas said, "Daniel offers a few of the characteristics I had with Hulk when I was with him in Porto... He is an extremely quick player, and he has technique at pace." Although he rarely played for Chelsea as a striker, Liverpool manager Brendan Rodgers played Sturridge as a striker in most matches. His ability to still drop between lines and pull wide and attack defences, similar to former strike partner Luis Suárez's playing-style, has led to Rodgers describing him as "what I call a 'nine-and-a-half". Sturridge is the nephew of former footballers Dean and Simon Sturridge. Sturridge used to support Derby County when he was younger because his uncle, Dean, played for them. But once Dean left, Sturridge switching his allegiance to Arsenal. Sturridge is a Christian. After winning the Premier League Player of the Month award, Sturridge said, "I do all [through] Christ who strengthens me."